If you read my post last week, you know that one of our New Year’s resolutions is to incorporate more good food into our home and less of the ‘not so great’ stuff. One thing I’ve noticed is that my fridge is now overflowing and we are always trying to find room to squeeze just one more thing in. It feels a little like Tetris sometimes! I’ve also been stocking my pantry with foods I know will fit in with my new year resolution. With 4 kids, snacks in the fridge AND the pantry are just part of survival in this house. I have one child, in particular, that seems to have a bottomless pit for a stomach lately. 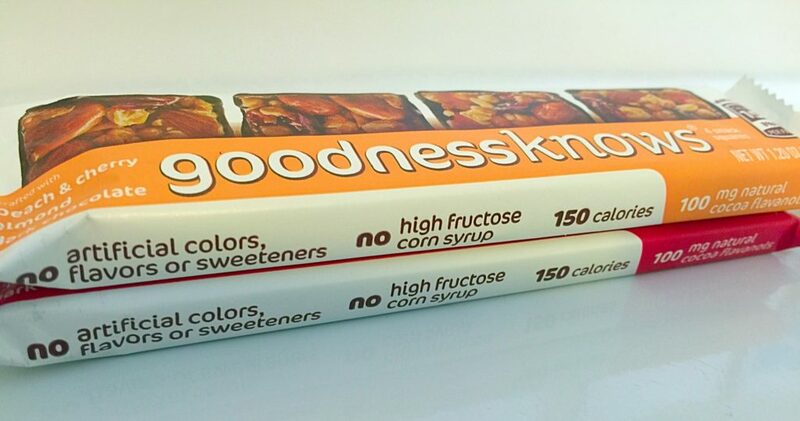 We just tried these amazing new goodnessknows snack bars last weekend and I absolutely love them! If you knew just how many snack/protein bars I’ve tried in the last 2 months you would probably think I’m a little quirky. What can I say? 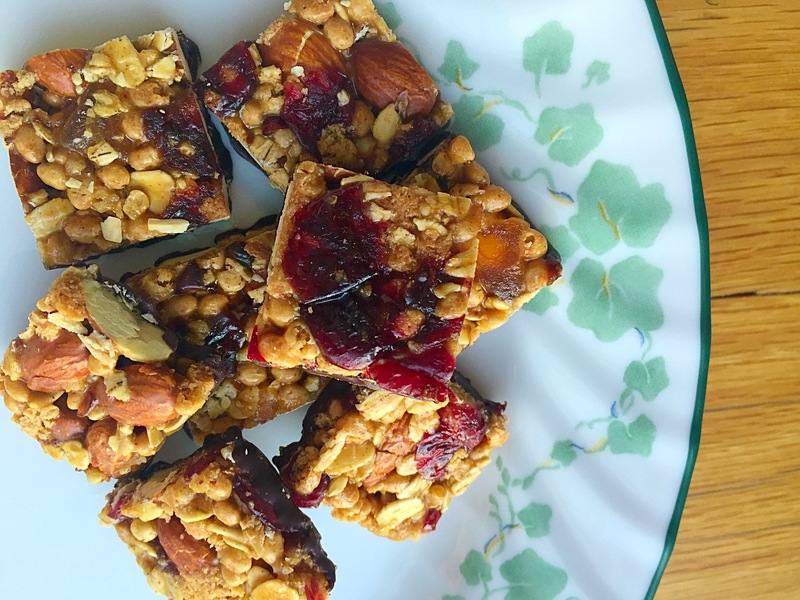 I like to have snacks to throw in my pocket, purse, or to give a kid (or husband) that wakes up too late for breakfast. These fit the bill perfectly because they are full of good ingredients, taste great, and of course….are dipped in chocolate!! Each serving contains 100 milligrams of naturally-occurring cocoa flavanols. They are also made without artificial colors, flavors or sweeteners. That’s a thumbs up at our house! 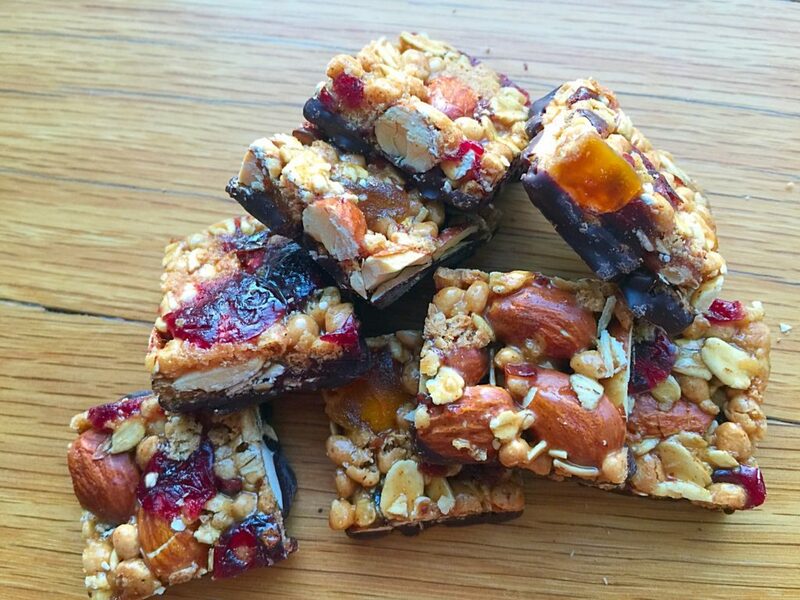 My favorite is the Peach & cherry, almond, dark chocolate! I love that they are divided into 4 squares with only around 40 calories each. Perfect for a little…or a lot. They are pretty reasonably priced too at $1.59 – $1.99 per serving (four squares) and $4.99 – $6.99 per 5-serving multipack carton.